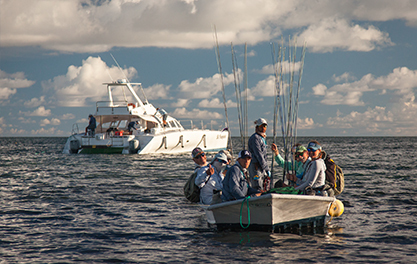 It’s always a pleasure sharing the water with return fishermen, but even better making new friends on the water. 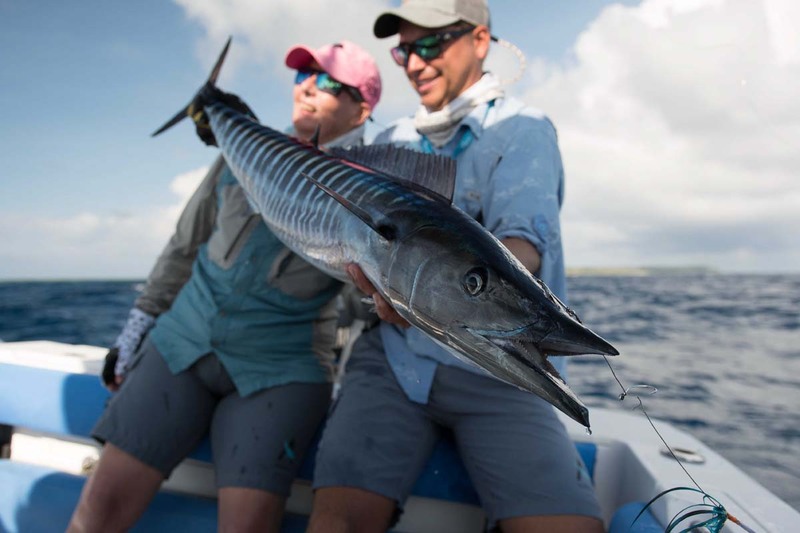 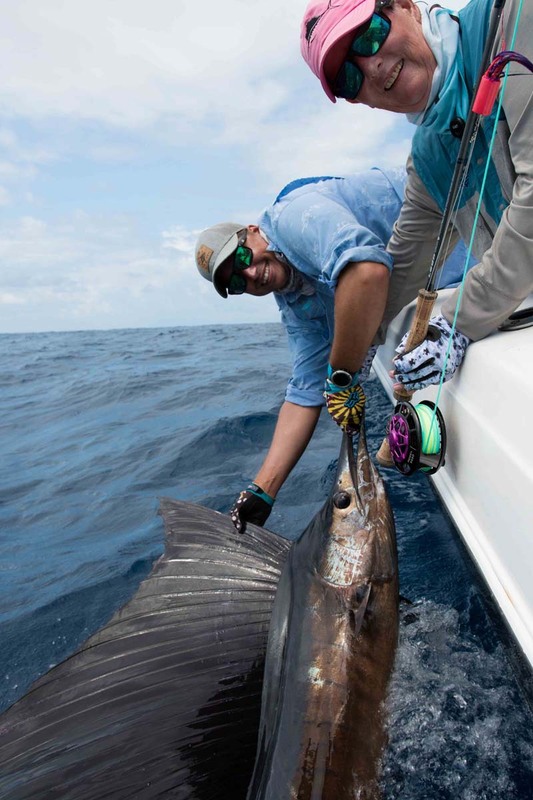 Challenging conditions and low light made it difficult to reach every goal, but with such a diverse fishery and a group of eight-experienced fisherman, the results spoke for themselves. 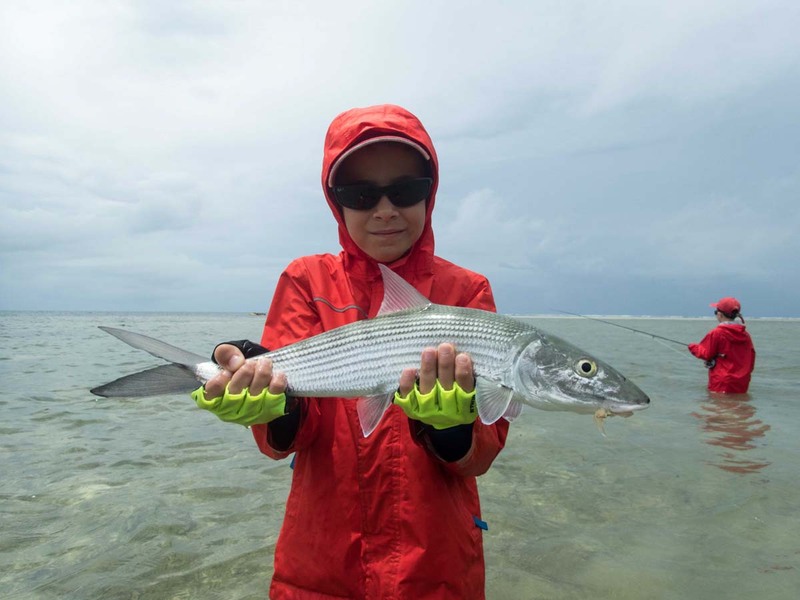 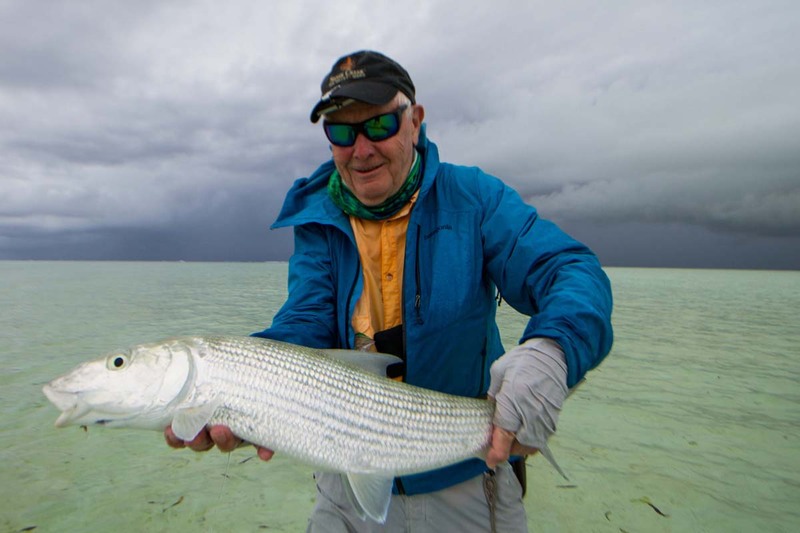 Richard P landed the biggest Bonefish of the week at 67cm. 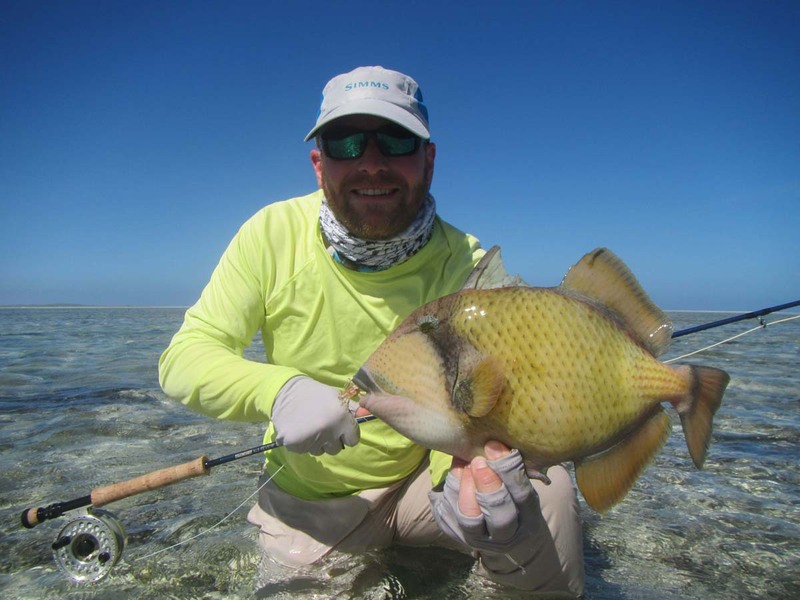 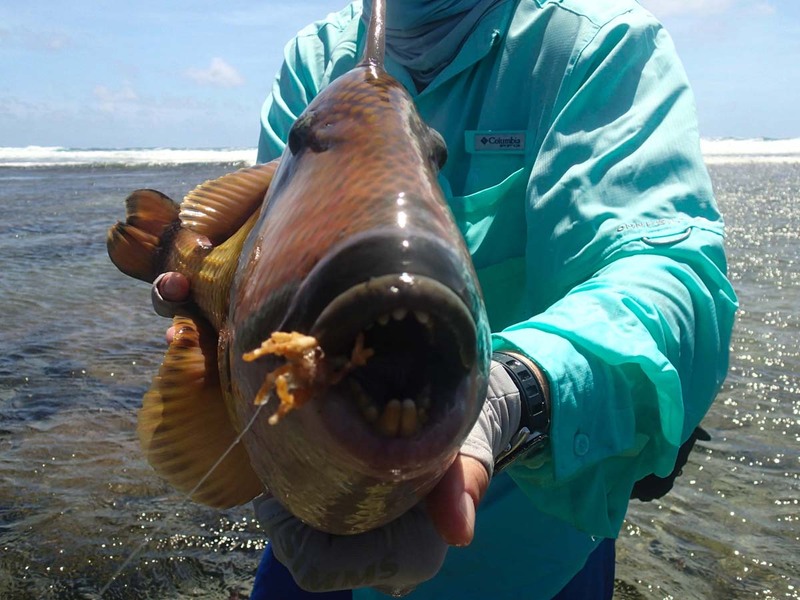 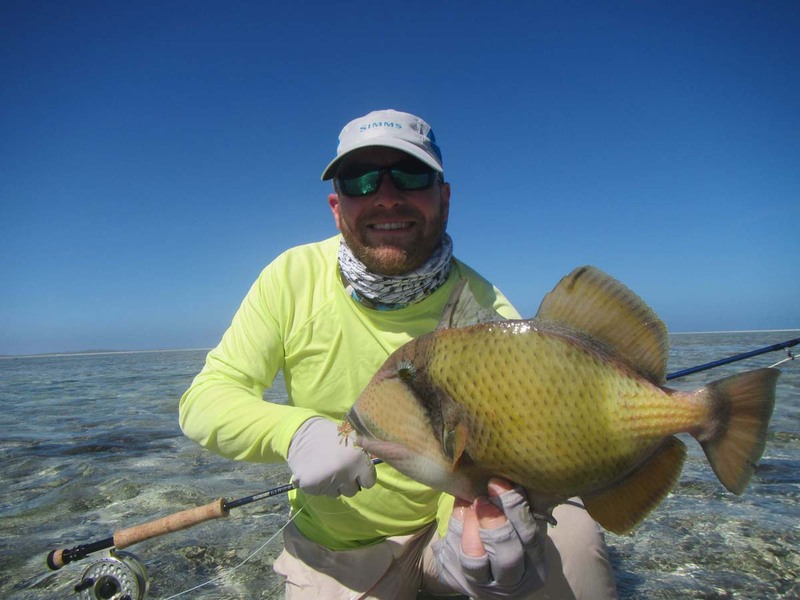 Denis L managed a ”Bills & Bones Slam” and a perfect Moustache Triggerfish. 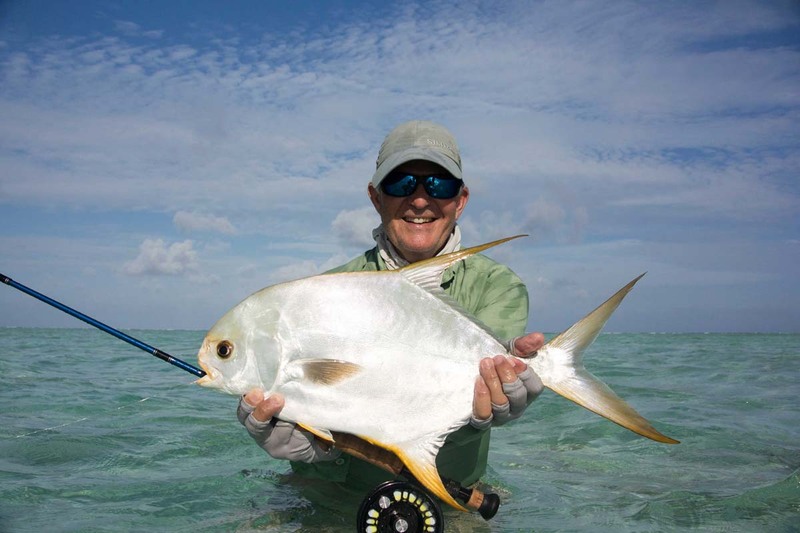 Peter P rang the fisherman’s bell almost every night celebrating “Flats Slams” and GT’s. 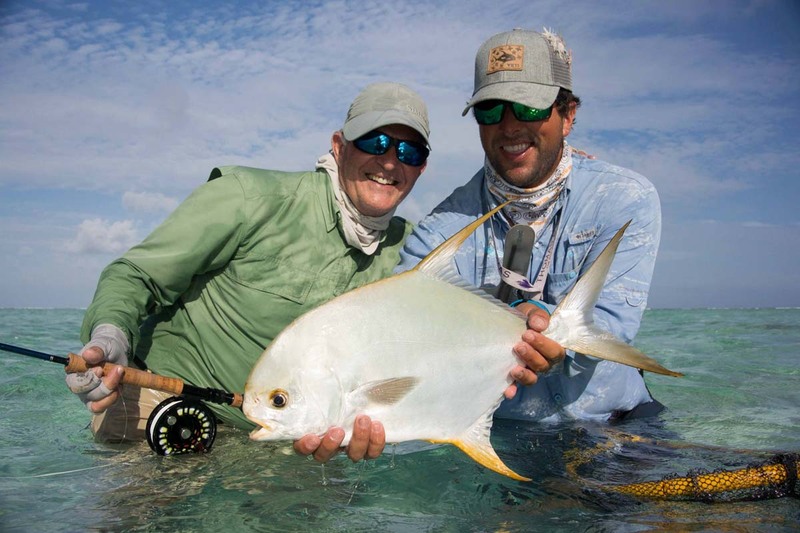 The holy grail of fly-fishing couldn’t have gone to a better person. 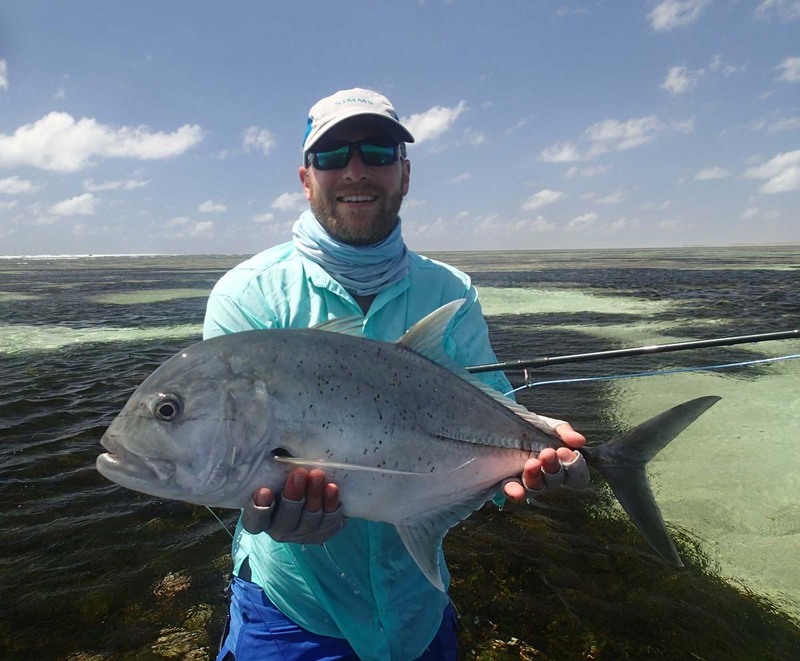 Tim D raising the mark and joining the Permit Club of Alphonse Fishing Co.
David L was the main contributor to the Bonefish numbers and with a group total of 238 Bonefish, we can comfortably say that the fish were hungry.